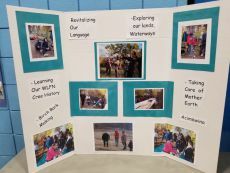 Waterhen Lake First Nation, Sask. 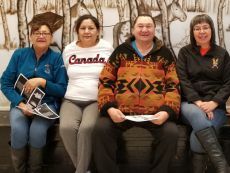 – January 3, 2019 – UFCW Canada activists recently traveled to the Waterhen Lake First Nation in Saskatchewan to bring a workshop on labour rights to Indigenous youth at Waweyekisik School. 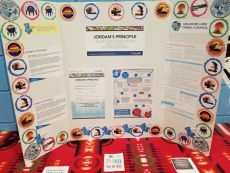 A collaboration between UFCW Canada’s Human Rights, Equity, and Diversity (HRED) department and participants from the Young-Workers Internship Program (YIP), the workshop engaged Indigenous and non-Indigenous youth in grades 7 to 12 on issues surrounding respect in the workplace. 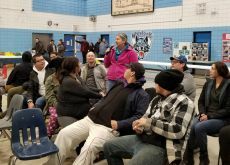 The event originated as a suggestion from UFCW Canada Local 401 member Angela Fiddler, who felt it was important for union members to share their solidarity and pride with First Nations students. 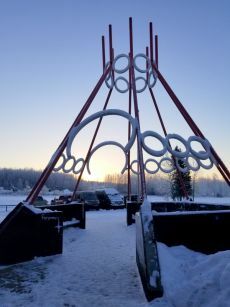 The workshop began with students taking part in a sunrise ceremony led by Elder Robert Gladue, who welcomed everyone and prayed for a successful day of events. A hot lunch was later provided to all participants, which students and their families cooked in preparation for the workshop. 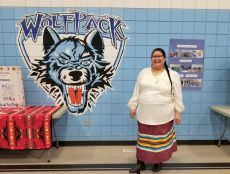 Students also participated in a musical chair pow wow that was led by the school’s drumming group. 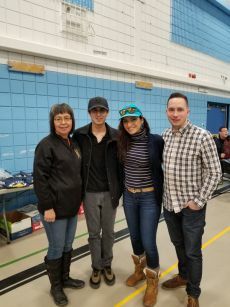 In addition, students heard from Georgina Jolibois, Member of Parliament (MP) for Desnethé—Missinippi—Churchill River, and Dustin Fiddler, Councillor for the Waterhen Lake First Nation, who provided tips on how Indigenous youth can navigate today’s labour market while embracing their strong culture and heritage. Donavyn Itsi, a recent graduate of YIP, co-facilitated the workshop and spoke to students about his experience living in the Yukon, different situations that students might encounter at work, how young workers can stand up for themselves, and why collective agreements are essential to protecting workers on the job. Donavyn also talked about being a young Indigenous worker, and why he is working to become a union steward at his workplace. 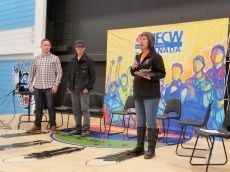 “The community response from this event was extremely positive, as the workshop provided hope and courage for students who will soon be entering the workforce,” says Sister Fiddler, who also sits on the UFCW Canada Indigenous Sub-Committee. As Canada’s leading and most progressive union, UFCW is committed to building mutual support between Indigenous and non-Indigenous workers across the country. To learn more about UFCW Canada’s work in this area, visit the UFCW Canada Indigenous Sub-Committee website.